In the new Les Chics Double use range from goldplast is another great inovation, the quality polypropylene produces an athestically striking range of canape containers that are highly practical in use. Lids are also available made of polypropylene, enabling you to protect the contents when being prepared, this also makes them stackable. Food can be prepared, frozen at -20 degrees, heated at +80 degrees and then served directly, satisfying both the taste buds and the eye hence the double use. 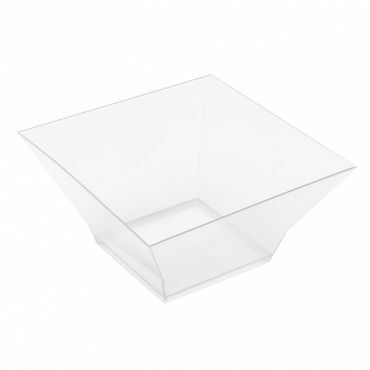 Transparent Plastic Pagoda Maxi Tub (Pack of 10) has not been evaluated yet.